The site of Cypros above Wadi Qelt occupies a commanding position overlooking the Jerusalem-Jericho highway and a spectacular view of the Jericho Plain and the Dead Sea (a good place to take photographs). Originally a Hasmonean fortress, Pompey destroyed it in 63 BCE and King Herod rebuilt it as a palace-fortress and named it for his mother, as recounted by Josephus. After 1967 the Israeli army used it as an outpost of bunkers, today it lies deserted. 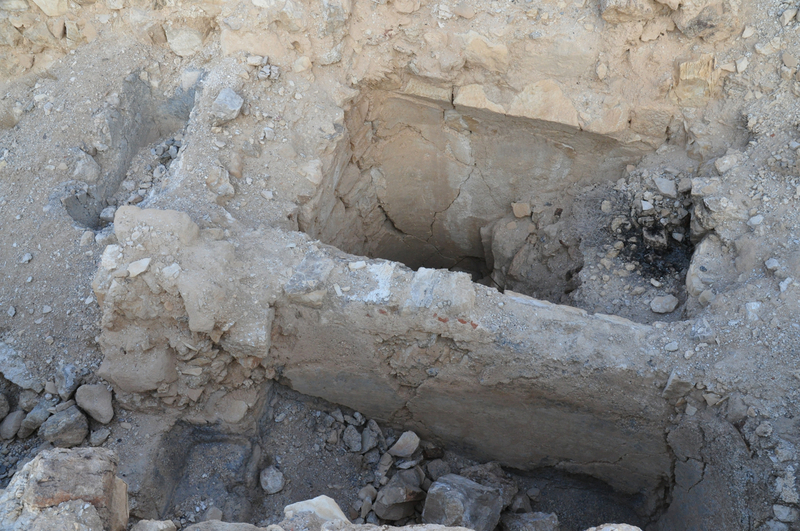 In 1974 Netzer and Damati did preliminary excavations and then left it in ruins. Cypros consists of 2 parts – a palace-fortress on the mountaintop and additional buildings 30 meters below the summit (perhaps Herod got the inspiration for the palace-fortress at Herodium from this site). 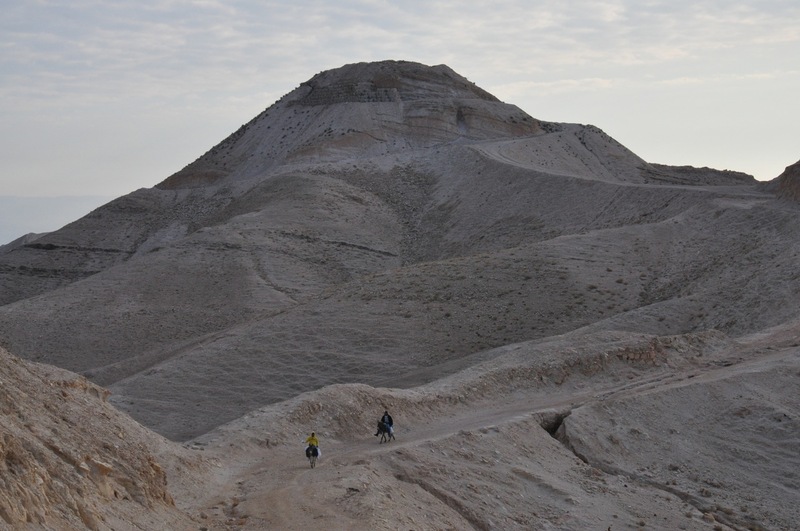 It’s a short hike from the parking lot entrance to St. George’s monastery in Wadi Qelt to Cypros. The ruins are not in good condition but there is something special to exploring a site the way an archaeologist might see it as opposed to a site that has been prepared for visitors. 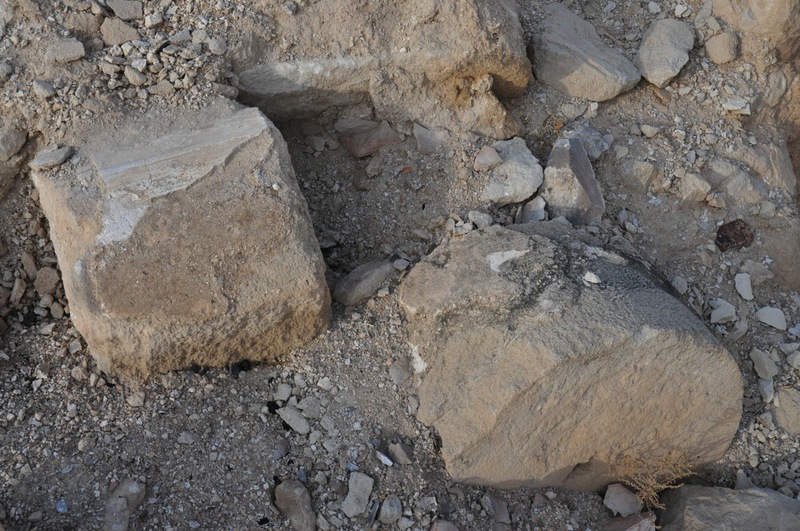 The remains of 2 bathhouses are still exposed, one on the mountaintop and the other below that suggest the grandeur of the site in Herod’s time. 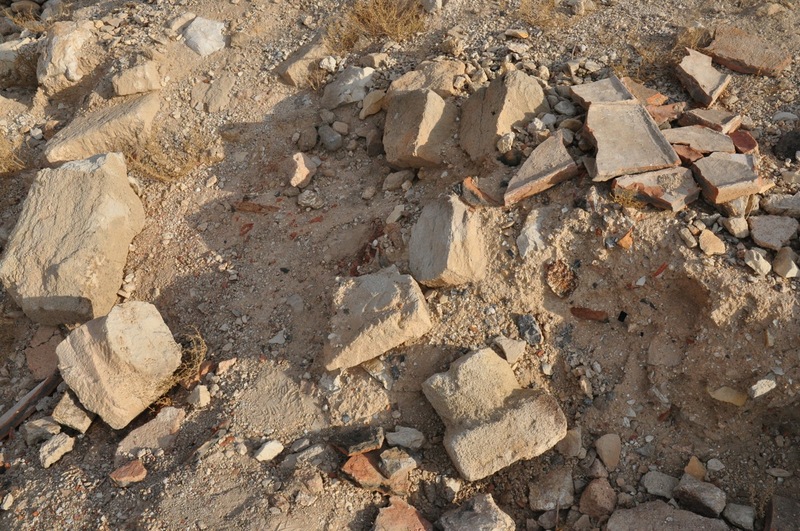 The remains of a simple white mosaic floor and pieces of plaster with red and yellow from the wall frescoes and the stone pedestals from the hypocaust floor of the calderium can be seen. There are also some sections of columns, one with some of the original plaster. Click on the above thumbnail photos to see larger images. Beside a mikve (ritual bath) the most unusual element found in situ, is a large stone bathtub – today its position is marked by a concrete recess, the bathtub is at the Rockefeller museum. Down below in the bathhouse pieces of ceramic pipes that were attached to the walls of the calderium and broken ceramic discs that were piled one on another to hold up the hypocaust floor can be seen. 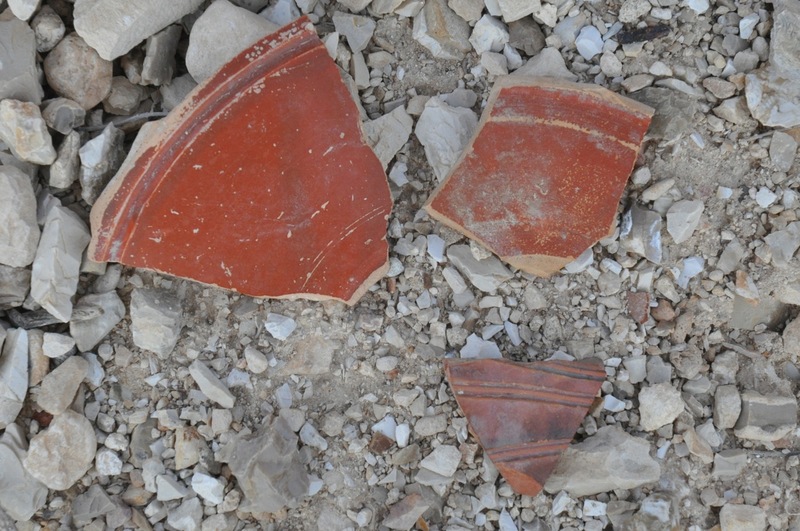 Walking around the site I came across a few broken pieces of terra sigillata (the first examples that I’ve found at an archaeological site), a type of fine, red-gloss Roman pottery that would have been imported from Italy or Gaul, additional evidence of Herod’s grand lifestyle. This entry was posted in Archaeology, Hiking, Nature, Photography and tagged bathhouse, ceramic, Herod, Herod palace, Hiking, postaweek2011, pottery on January 8, 2011 by Shmuel Browns.